Stick Chair sums up the characteristics of the modern multi-purpose armchair. It sets new reference standards in terms of design, innovation and quality for furnishing work areas, where functional characteristics are just as important as having a convincing look. Stick is a complete collection of multi-purpose seating suitable for use as visitors' chairs and also in meeting rooms, classrooms and multi-functional spaces. The diecast aluminium frame structure is extremely strong and durable. 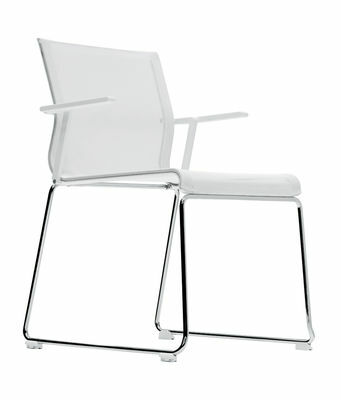 It is available with a white or black painted finish or with a chrome finish. The covering has the form of a particular suspension in very breathable transparent elastic mesh, available in several colours. This feature helps create a look that is simultaneously pleasant, lightweight and highly professional. The suspension is available also with traditional covers in fabric or leather. The Stick Chair collection includes a multi-function chair, a stool, a visitor's chair, a height adjustable swivel chair on wheels and also a waiting room chair. The chair is available with or without armrests (which can be installed at a later time), and it is possible to stack up to 15 units in height, or if using a specifically designed wheeled cart, up to 25 units. 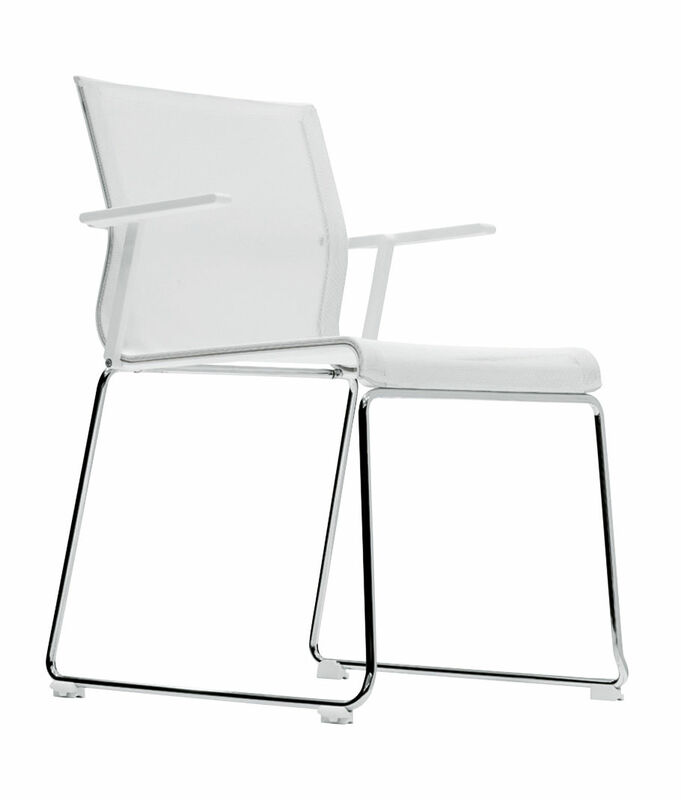 The chair only weights 4.4 kg, which allows for simple and intuitive stacking by adding only 22 mm between chairs.